Stella is Ready for a Home! 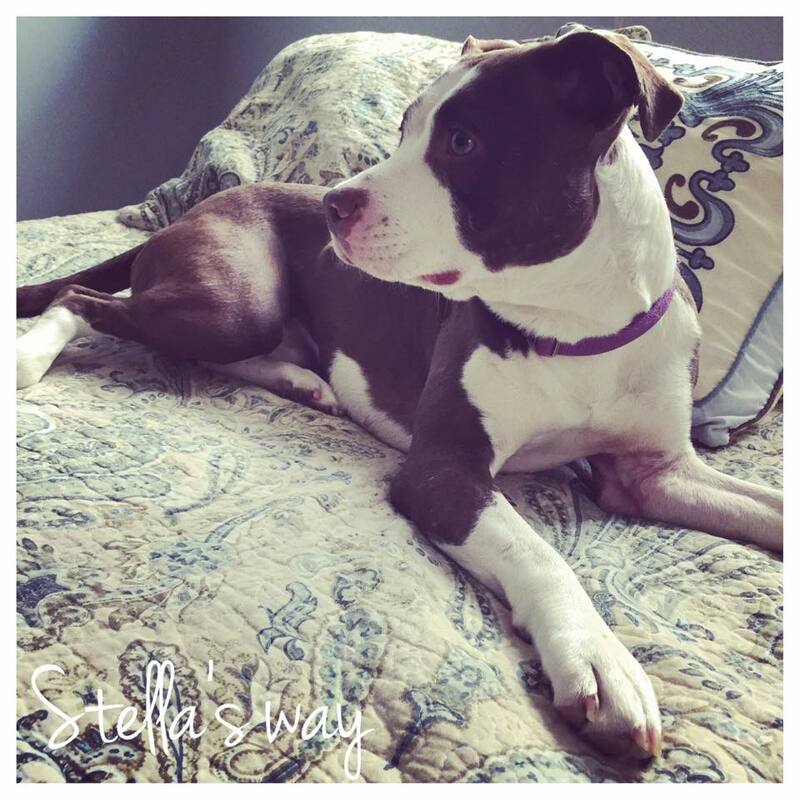 Stella is a proud graduate of the Feral Dog Rehabilitation Program at The Devoted Barn and she is now ready to find her fur-ever home!! Stella came to The Devoted Barn from another rescue. 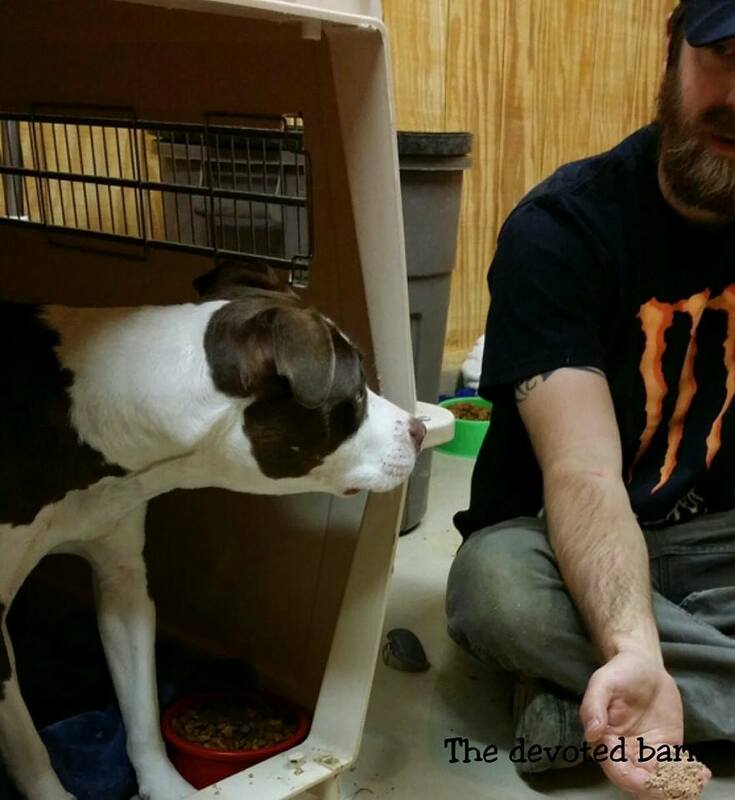 While in rescue Stella displayed typical feral behaviors so the rescue took her to a trainer who used aggressive negative reinforcement techniques to correct her. This caused her to backslide into even more feral behaviors and made her difficult to live with. Stella is a great example of one of the things we strive to prevent at The Devoted Barn. If Stella had been handled properly from the start she never would have had any problems. Her first interactions with humans were bad and scary which caused all of Stella's issues to escalate. Stella did very well in the program at the barn and was ready to move to a foster home in January 2015. Once in her foster home she really flourished and showed us all what a great dog she can be. She quickly adapted to potty training and soon discovered that there is nothing quite like sleeping in a human bed! 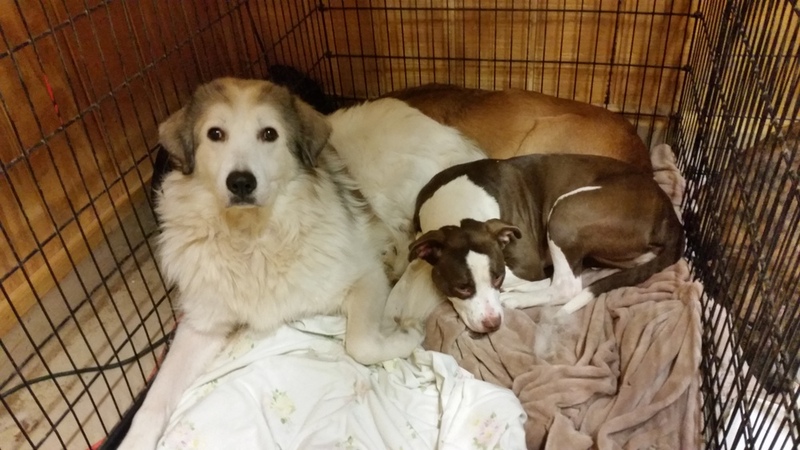 She goes to work everyday with her foster mom and loves snuggling with the other members of her foster pack. Now the search is on to find Stella the perfect fur-ever home! Stella is still shy around people she doesn't know, although she warms up faster each time. She needs a family that is interested in putting in the time to become best friends with her. Stella needs everyone in the family to be committed to exposing her to and helping her work her way through new situations. She promises to generously repay you in snuggles! Since she startles easily Stella would do best in a home with children 12 years old and up. She does very well with other dogs but will need a proper, gradual introduction to any new fur-friends. There is nothing like the love of a formerly feral dog. The bond you will form is indescribable. Do you have room in your life for a snuggly, new best friend?